What is a Zikodrive Optimised Brushless Motor Controller & how does it work? What is an optimised sensorless brushless DC Motor Controller and what are the main advantages of using them? An optimised sensorless brushless DC motor controller is a standard controller supplied pre-programmed with optimised firmware for your specific application. The process for this involves us working with the specific motor you have and testing it extensively in (as close to) the actual operating conditions as possible. Once we have done this we can then optimised various aspects of the motor performance in order to deliver a range of significant improvements. Typically the most problematic area of performance will be start up of the motor. Getting this reliable, smooth and consistent often requires a specifically tuned startup programme. There are a huge number of factors which can impact on the required optimisation. Specification points with the motors such as inductance, number of poles and max speed all have an impact. However, equally important are application specific factors such as the operating temperature, startup inertia and energy usage limits. The critical aspect is that optimising the controller allows it to adequately meet all of the specification points required for your application. The optimisation process involves tailoring the controller to the specific motor and specific application that is required. This means that the timing and operation of the controllers are perfectly setup and therefore perfectly optimised to use the minimum required energy for the application. Thinking of getting an optimised brushless motor controller for your specific motor and your specific application? If you have looked through our website and particularly the sections on brushless motors and brushless motors then you have probably seen reference to an optimised brushless motor controller. In simple terms this is a Zikodrive Motor Controller which has been optimised to deliver the best mechanical and energy efficient performance for your specific motor and application. What we mean by this is that we can set up any of our ZDBL Series Brushless Motor Controllers to be specifically optimised to the motor that you have chosen and the application that you are working in. Ok, I think I understand, so how does this work in practice? In practice, we will request a sample of the motor that you are using or are wanting to use and will also request details of the application that you are using the motor in (we are always happy to sign NDAs as required). Once we understand this we will then be able to optimise all aspects of the controller to deliver the maximum possible mechanical performance and the most energy efficient performance from the motor. We do this by profiling the motor and application based on the number of poles, the inertia at startup, the inductance of the coils in the motor and other factors such as top speed, acceleration required and more. Once we understand all of these we can then programme the brushless motor controller that you have chosen to deliver the exact performance you require. This sounds good, but how will I use it? In practice, optimising a brushless motor can deliver significantly improved performance most notably in sensorless brushless applications where issues are arising with the startup phase and also the general running of the motor. Parts of this improvement are akin to getting the timing exactly right on an internal combustion engine. If one cylinder is misfiring or the timing is marginally out then the point at which the force is applied will not be the optimum point. This then leads to a situation in which the power will not only be wasted but will actually then start to work against the engine. In many respects a brushless motor and controller are similar. By understanding the application requirements and the key specifications of the motor we can ensure that power is applied in the most efficient manner possible to deliver the output that is required. We now offer this service completely free provided that you have a motor sample that you can send to us for testing. 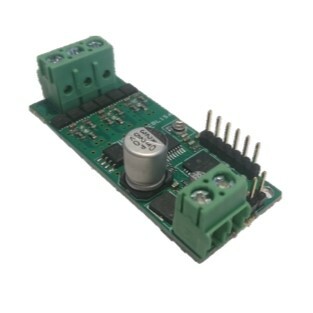 Simply purchase the relevant motor controller from us (if you’re not sure on the best option please contact us to discuss), send us a sample of the motor you’re using and we will then optimise the controller to the motor. We will try and arrange a quick call to go through the application details as this can have an impact on the optimisation process. Once done, we’ll ship everything back to you to get you started. If you need to order more controllers in future the process could not be simpler. Once you confirm you’re happy with the setup we will assign a unique part number. Whenever you need any more units simply email a purchase order through with the relevant part number or order online using your account and we will send the units out pre-programmed and ready to use.